Running a successful, profitable business means always tuning your sales funnel to keep it in peak condition. One of the ways to analyze your sales funnel and find opportunities for improvement is to use the McKinsey 7S Framework. 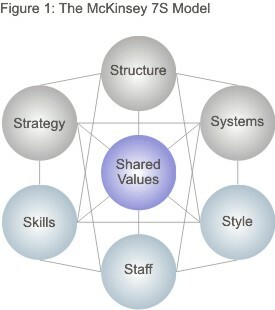 The McKinsey 7S Framework (displayed to the left) is a series of 7 spheres or elements that make up a business: Shared Values, Strategy, Structures, Systems, Skills, Staff, Style. The 7S tool has been a beloved strategic management tool for years. Each of these elements represents some aspect of your business and it gives you a way to make sure that everything is aligned and working together. (By using it as a framework to analyze your business, for example, it can reveal that not every aspect of your business shares the same values or that the staff of one aspect of the business aren’t adequate to do the job). You can use the same tool to analyze your sales funnel. 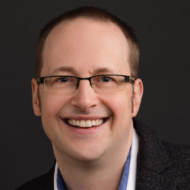 Divide your sales funnel into stages (I like to use Audience, Leads, Prospects, Customers, and Evangelists but you might want to use different stages) and look at each stage through the “lens” of the 7S framework. Shared Values: Does my communication in the Audience stage of my sales funnel share the values of my business? Strategy: Do I have a strategy for the Audience stage? Does the strategy in my Audience stage match the strategy of the rest of my business? Structures: Do I have structures for the Audience stage of my sales funnel? Do my Audience contacts know what to do next? Systems: Do I have systems for the Audience stage of my sales funnel? Does the Audience stage of my sales funnel rely on me or does it run automatically? Staff: Do I have the staff to manage the Audience stage of my sales funnel? Am I missing anyone? Skills: Do I (or my staff) have the skills necessary to achieve success in the Audience stage? Style: Does my style reflect what I want to achieve in the Audience stage of my sales funnel? Does my style of leadership adequately communicate to my staff when empowering them to work in this stage of the sales funnel? Then, repeat this process for each stage of the sales funnel. By using the 7S Framework as a lens, you’ll be able to look at your sales funnel in the context of your larger business and you’ll create a list of ways you can optimize your sales funnel and to ensure that it is aligned with your business.